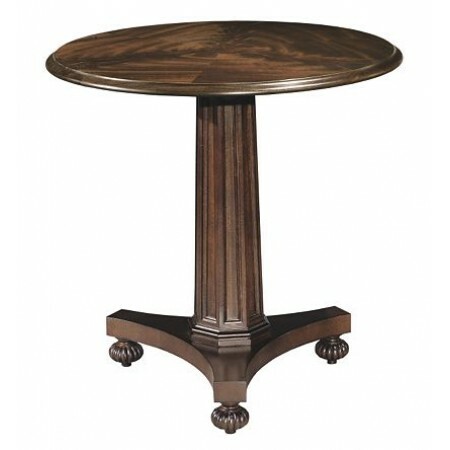 The Angus Pedestal Table by Alexa Hampton has a round, radial cut top adorned with swirl off crotch mahogany veneers and is supported by a faceted mahogany column on a tripod base with melon-carved bun feet. It is available in your choice of over 70 finishes, contrasting finishes and hand striping decoration. Oxford is the standard finish as shown. Optional finishes available as 5484-70.